New Temptations has announced that the latest Dreamgirl Costume catalogue is now available, and Game of Thrones enthusiasts are in for a treat. With season seven of the fantasy epic currently captivating viewers, Dreamgirl’s new collection includes a number of tributes to the show which are sure to receive a warm welcome from consumers. 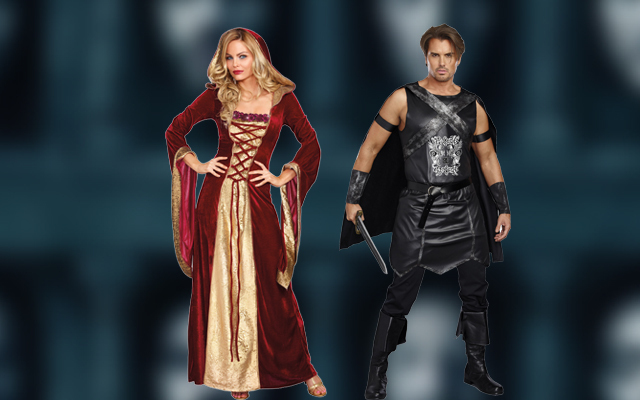 New Temptations has picked out two styles as particularly worthy of consideration: Lady of Thrones (style 10265) is a plush garnet velvet gown with gold trims and lace up bust and medieval style hood, while Mighty Warrior (style 10633) is a crested faux leather tunic, which includes a cross-strap cape, belt and arm bands – ideal for those attracted to the gentlemen of the Night Watch. “With the unveiling of season seven in July we’re sure Halloween 2017 won’t be shy of a few Deanerys’ and Jon Snows,” said New Temptations.